While the manufacturing PMI in Germany supported EUR, this currency is under pressure because of the French election therefore it cannot win over the strong USD. 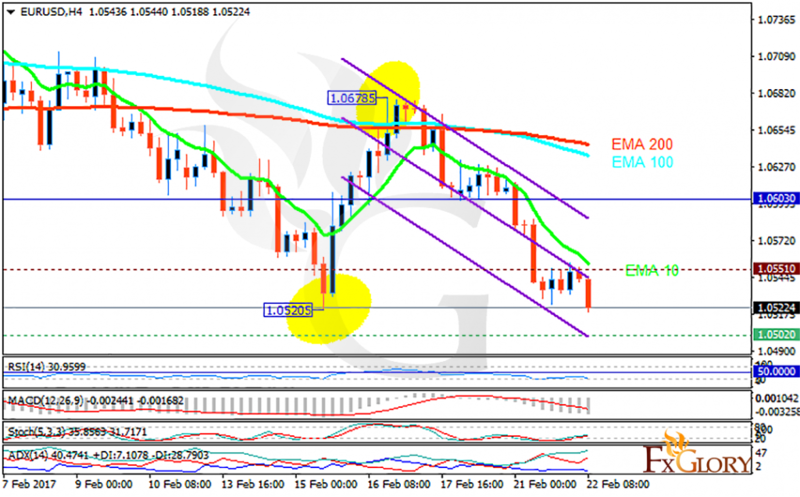 The support rests at 1.05020 with resistance at 1.05510 which both lines are below the weekly pivot point at 1.06030. The EMA of 10 is moving with bearish bias along the descendant channel and it is below the EMA of 100 and 200. The RSI is moving in the oversold area, the Stochastic is moving in its low ranges and the MACD indicator is in negative territory. The ADX is showing buy signals. Short positions are recommended targeting 1.0400.